Continue reading "MCITP - Business Intelligence Developer 2008"
Continue reading "MCTS - SQL Server 2008, Business Itelligence Development and Maintenance"
Seems SQL Server 2012 beta exams will be available soon, but actual exams will be released at June 2012. The BI part seems to be much more design and architecture oriented in these new exams, and I am happy for that. Because current BI exams are completely technology and tool oriented. 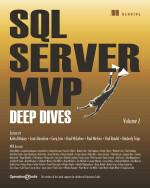 Continue reading "SQL Server 2012 Future Exams"